INTEREST RATES ARE AT THE LOWEST POINT IN YEARS! Can't say this enough, interest rates are at the lowest point in years! Now is the time to buy that new home you've been dreaming about while interest rates are so low. Also, make sure you have a reputable, seasoned Realtor representing you in the purchase of your new home. It doesn't cost, it pays! 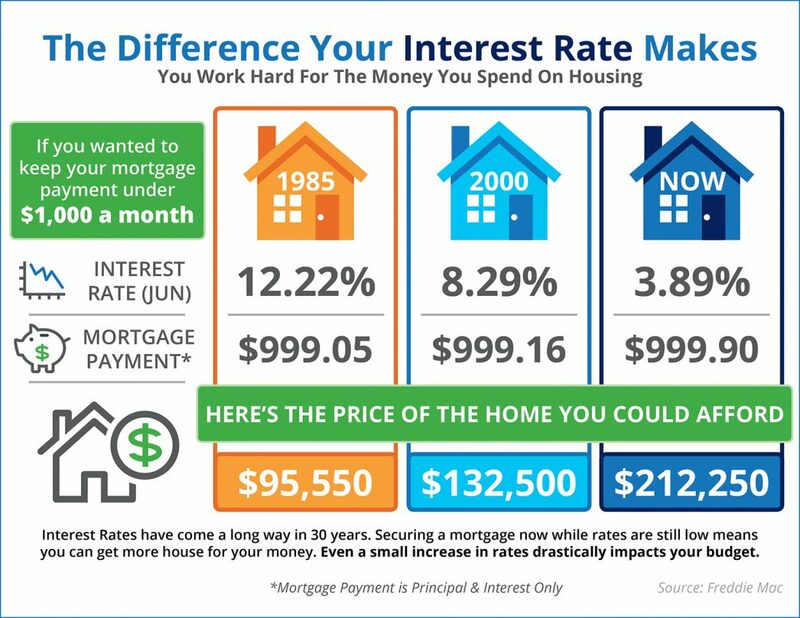 Interest rates have come a long way in the last 30 years. The interest rate you secure directly impacts your monthly payment and the amount of house that you can afford if you plan to stay within a certain budget. Interest rates are at their lowest in years… RIGHT NOW! If buying your first home, or moving up to the home of your dreams is in your future, now may be the time to act!